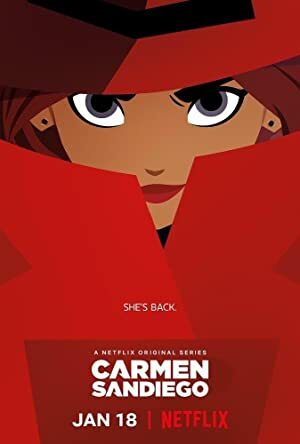 Carmen Sandiego – Season 1 (2018) – What's New on Netflix Canada Today! The series follows the adventures of Carmen Sandiego, a globe-hopping master thief. – Carmen Sandiego returns in this series that follows her new international capers as well as past escapades that led to her becoming a super thief. A master thief who uses her skills for good, Carmen Sandiego travels the world foiling V.I.L.E.’s evil plans — with help from her savvy sidekicks.